Hey guys! Welcome back! I know it's been a while since my last post on Cafe Hopping. Well, It's not that I have not gone Cafe Hopping but I guess all that coffee just got to me. Okay, so, I have a confession to make. I'm actually pretty impressed with Klang at the moment. A lot of hipster cafes are opening in the area! 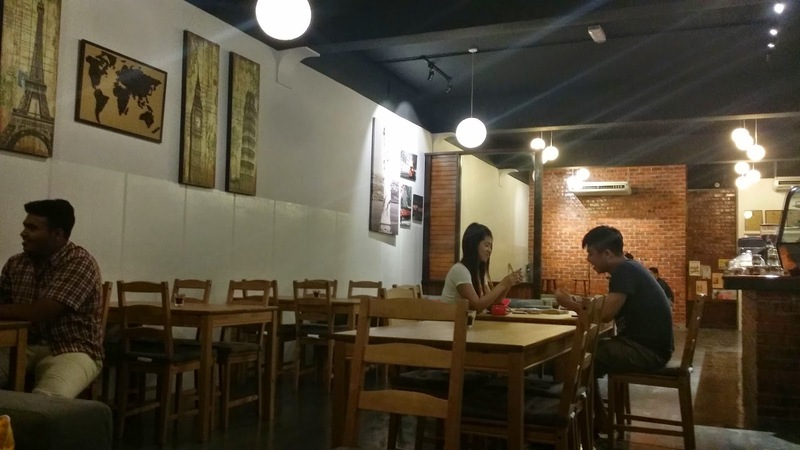 BECAUSE we all know, a lot of people say that Klang has nothing and youngsters usually head to Subang or Damansara to chill as there are more hipster cafes there. BUT , not anymore! Klang is coming up yaw! 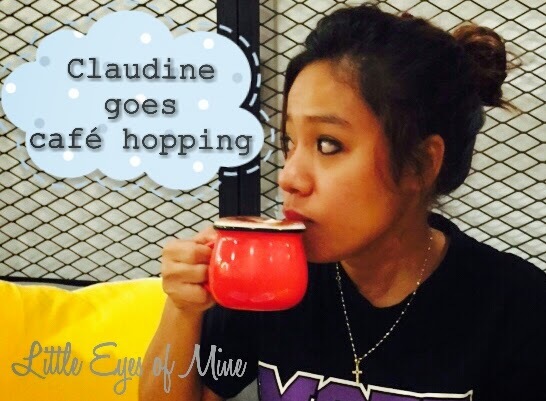 And I'm so looking forward to cafe hop! 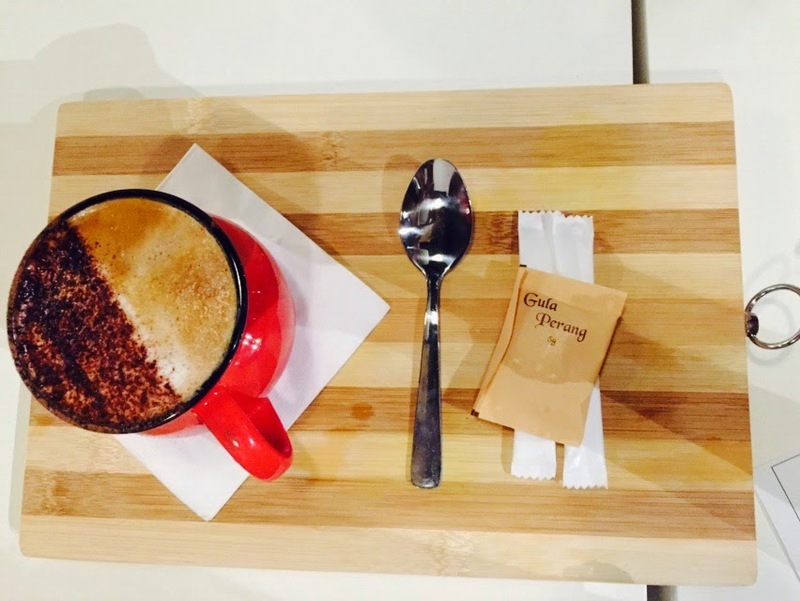 A new cafe has just opened in Klang . And, my existing favorite cafe , Coffee Origins now has a competitor! Say hello to my new favorite, The Daily Press Coffee. Shall we take a look at what The Daily Press Coffee is all about? 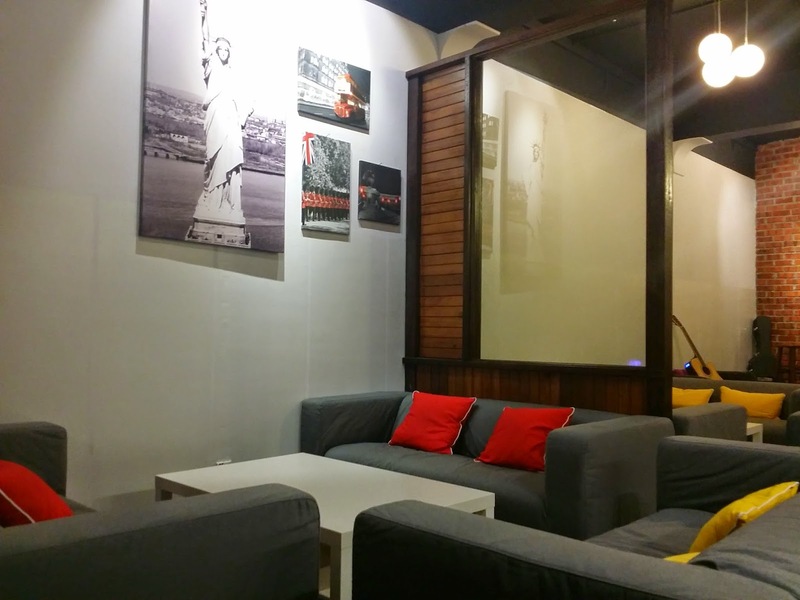 is one of the newest cafes in Klang. The founders of this Cafe is Krishnan and Joel. And, the name behind The Daily Press Coffee is literally where the coffee served is brewed and pressed right at their coffee shop. Cool name huh! Let's side track a little, One of the founders of this cafe, Krishnan was actually my former schoolmate. It is always nice to see school or university friends starting their own business. The last I saw him was when I was 17 , and boy, have things changed. Everyone is grown up and living life! 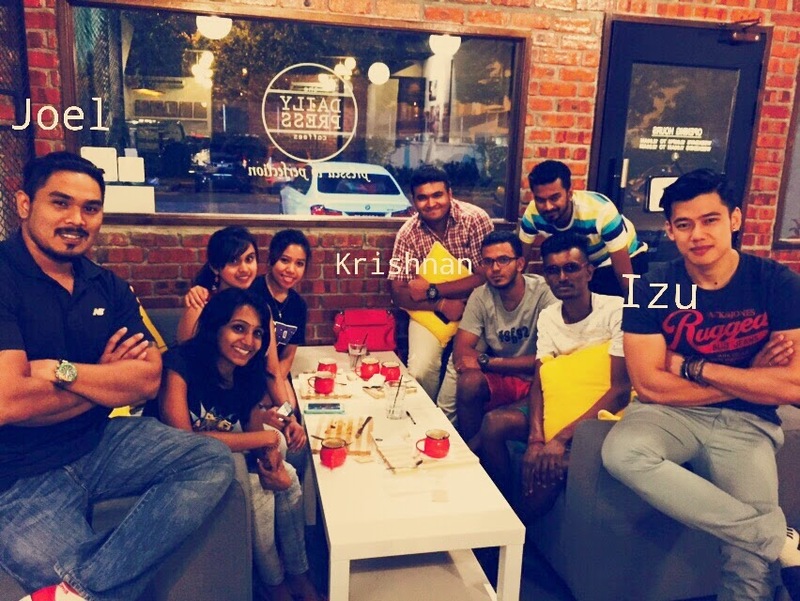 Krishnan and Joel were friends before they started this cafe. Joel was a fitness instructor but was also in the F&B industry for quite a number of years. And as for Krishnan, he is currently finishing his degree in chemical engineering! What's different about The Daily Press is that the concept and design to me feels very nostalgic yet it has that western feel to it. Prolly because of the brick walls. It is spacious yet very cozy. First things first, THE MENU. I actually like the concept of a big chalkboard menu because it allows you and your whole bunch of friends to just stand and stare at the menu and decide. It will prolly take bout 10 minutes but who cares, It feels like a decision that is needed to be made together. There is a different live band everyday! 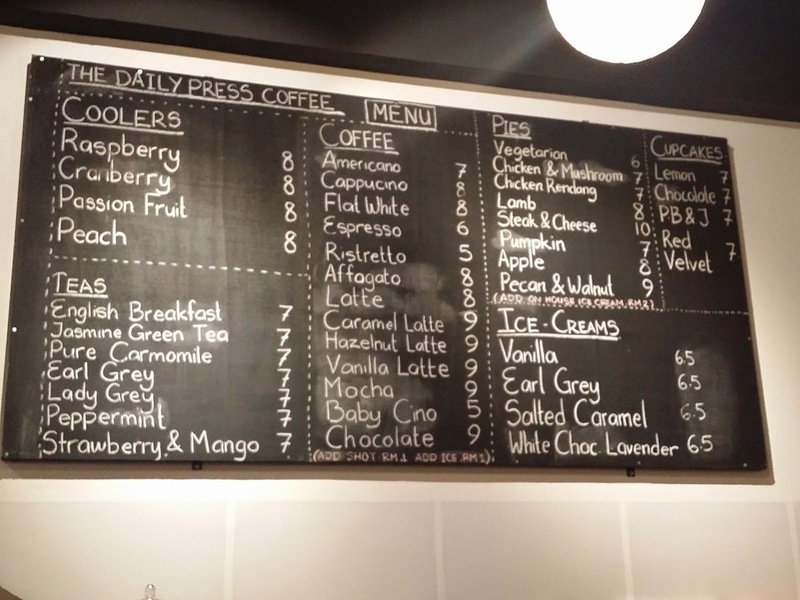 As The Daily Press Coffee is still only in it's first week of opening, it currently does not cater to those who are looking to have a proper meal like spaghetti or lasagna etc. like what some hipster cafes would provide. 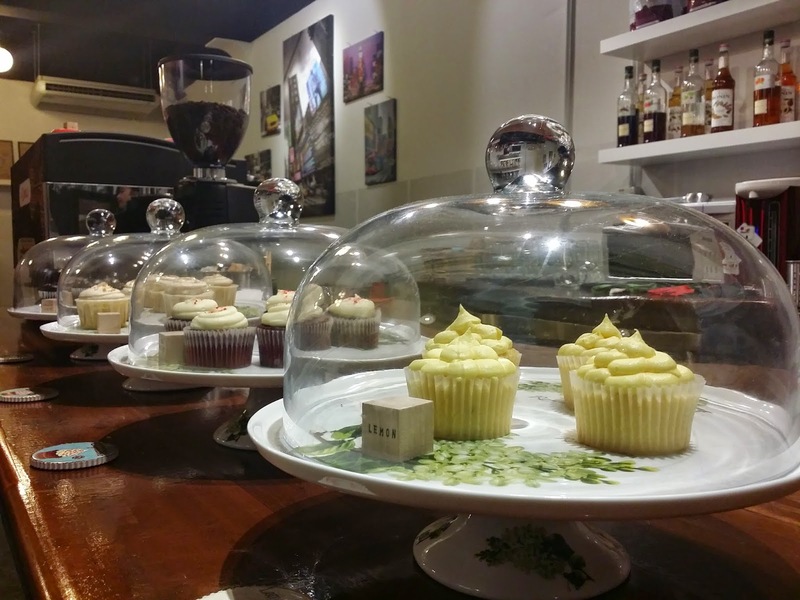 But they do provide an array of cupcakes and pies which I must say is very delicious! They've got a variety of different cupcakes on different days , so you'll definitely be able to give one cupcake a try every time ! 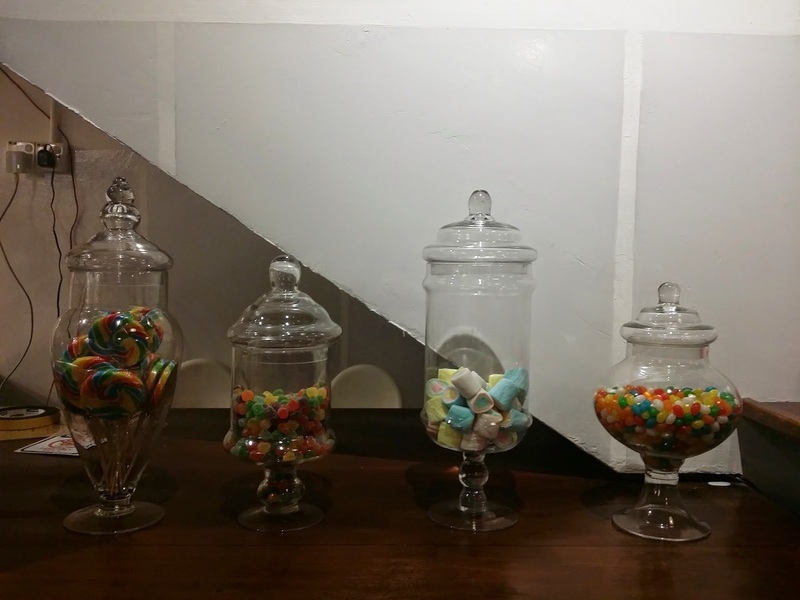 And , Do you have a sweet tooth? Because if you do, then you're in for a treat! This candy bar is on the house! You can go crazy! OR , if you're up for some real "face-to-face communication" quality time with your friends ( Yes, put them phones away!) , you'll have different games to choose from! 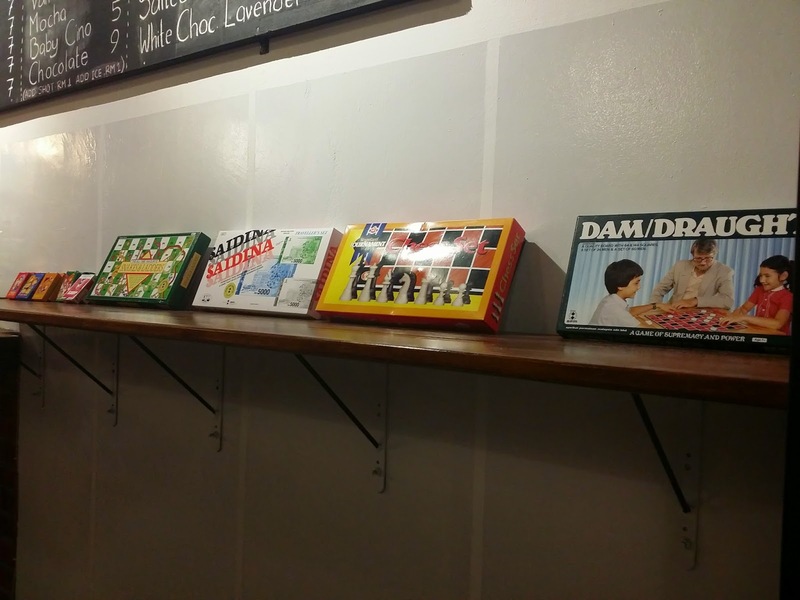 You've got coffee, cakes, pies, games and a live band to entertain you, what more can you ask for from a cafe! 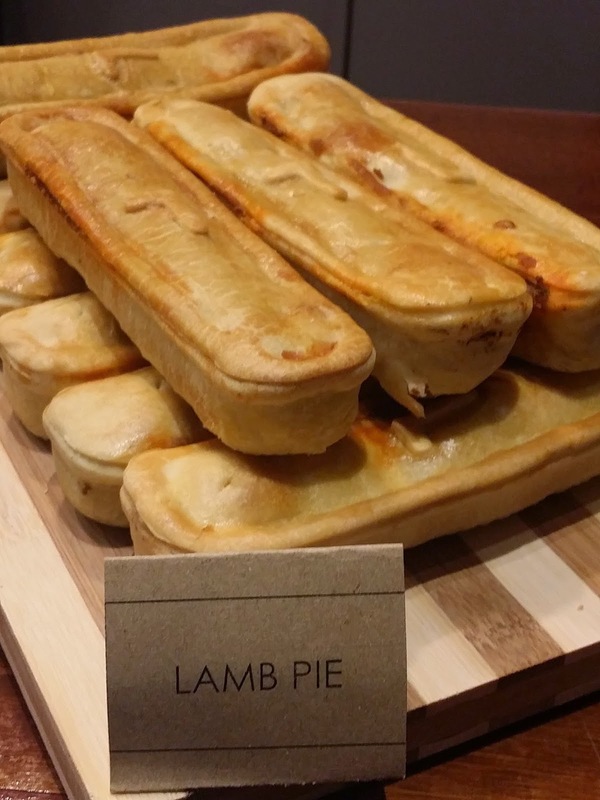 On the left is their very delicious Lamb Pie (RM 9) and on the left is their must-try Pecan Pie (RM 9)! 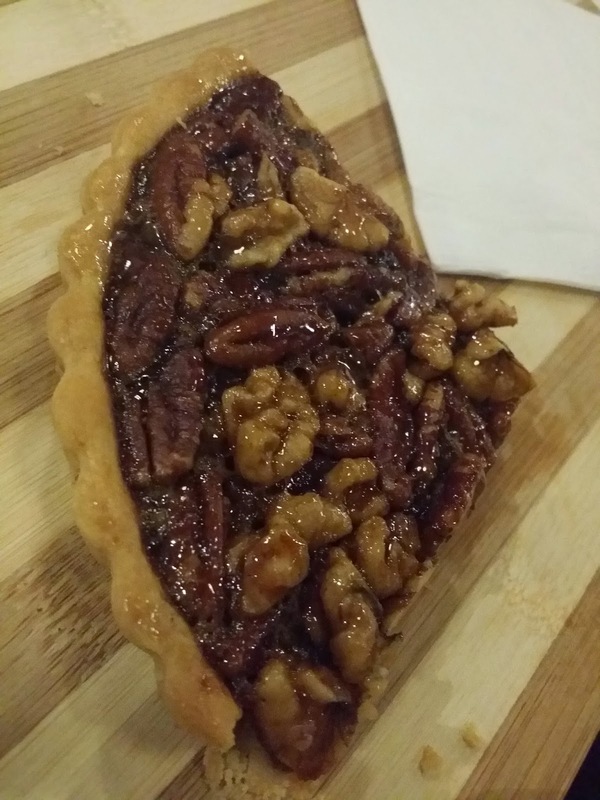 The pecan pie to me tasted like a mix of Christmas and New Year ! I can't explain it though. You guys already prolly know that Christmas is my favorite time of the year so it's quite hard to explain except that it tastes like Christmas. It's just so good! 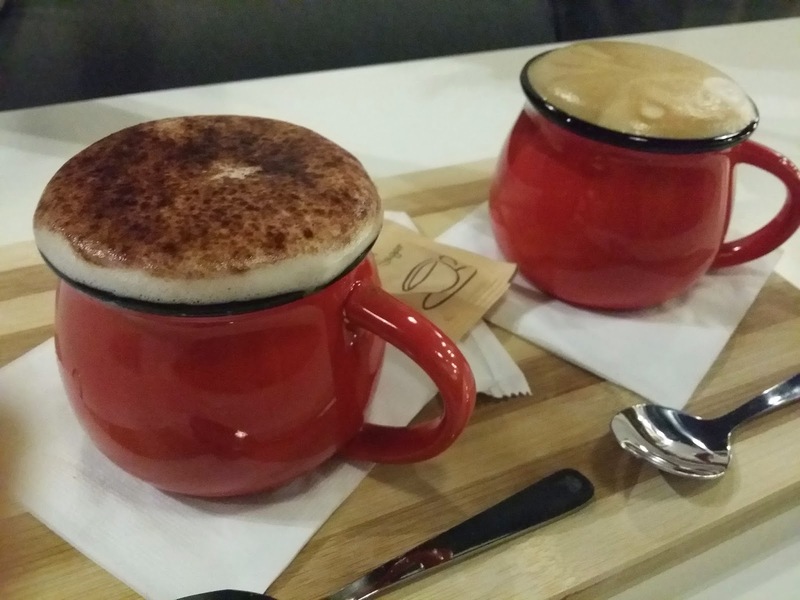 It's pretty cool and unique that the drinks and their pies / cuppies are served on a board. 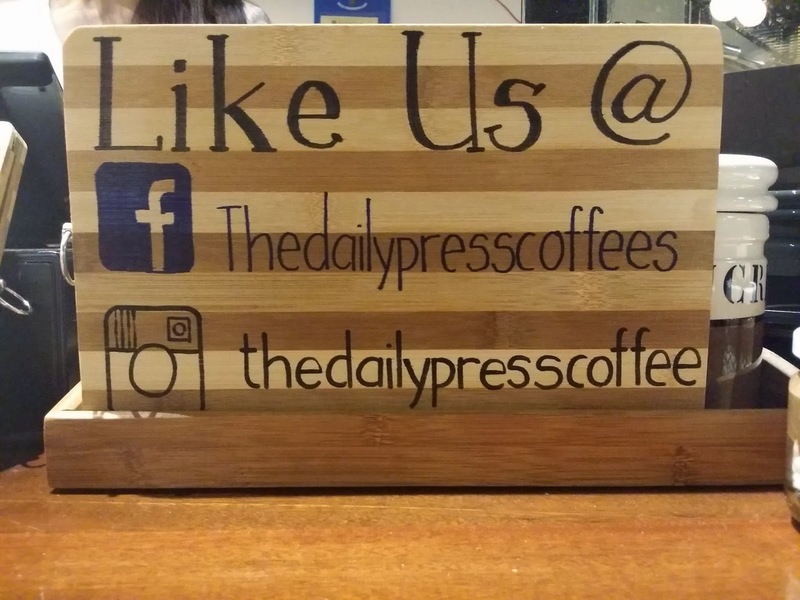 Overall, I think that The Daily Press Coffee is a very cool and relaxing place to chill with your friends whether it is on the weekends or after a long day at work. 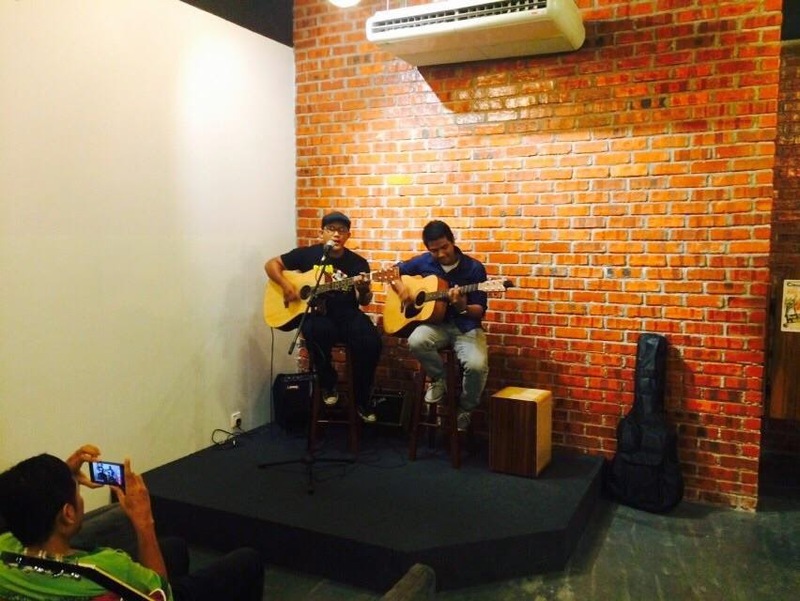 Their live band definitely keeps the crowd entertained with acoustic version of your favourite songs. The Prices , I feel is very reasonable. The Daily Press Coffee team definitely makes you feel welcomed & appreciated as they make the effort of getting your feedback and also remembering your name and addressing you by your name the next time you go over or when you're heading off! A plus point there! 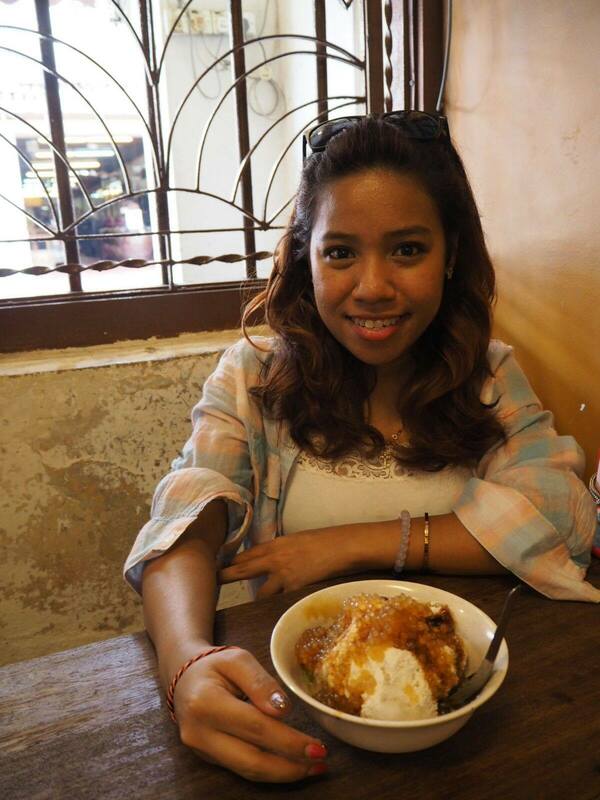 What I would prefer though was heavy food so that we could chill from dinner to desserts. However, The Daily Press Coffee team did say that they'll definitely look into that in the future! *Oh Jyeah* . Anyways, Thanks guys for welcoming us and being so hospitable. I guess that's what makes The Daily Press a very comfy place to chill. Keep it up guys! Here's a group shot of us with The founders Krishan and Joel and The Manager , Izu . It looks like I'll be hanging out here quite a bit! Don't forget to come say HI when you see me there!